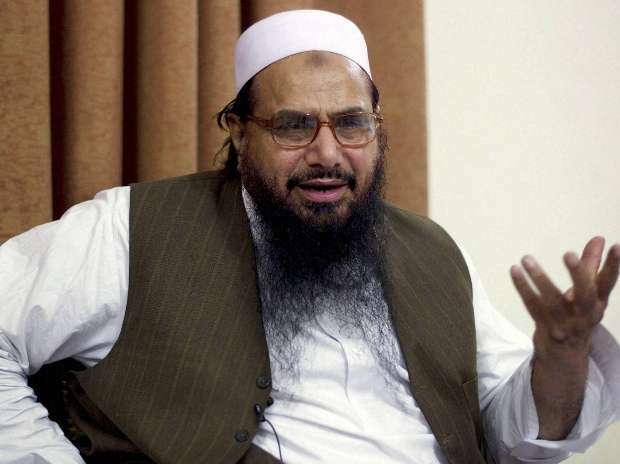 Mumbai terror attack mastermind Hafiz Saeed-led Jamaat-ud-Dawa and its wing Falah-e-Insaniat Foundation have not been banned by Pakistan despite its announcement a fortnight ago and the two organisations continue to be only in the list of groups under watch. According to the website of the Pakistan government's National Counter Terrorism Authority (NCTA), which was updated on Monday, Jamat-ud-Dawa (JuD) and Falah-e-Insaniat Foundation (FIF) are organisations under watch by Ministry of Interior under section 11-D-(1), Schedule-II of the Anti Terrorism Act 1997. The NCTA website says the notification regarding JuD and FIF putting them under the list of organisations under watch was issued on February 21. However, before that, the website had said that both JuD and FIF were placed on the watch list in January 2017. "This implies that Pakistan has lied on the ban on Jud and FIF. In fact, it has just altered the date of the watch list placement to fool the world," a senior security official said. A spokesman of Pakistan's Interior Ministry had said on February 21 that the decision to ban these two groups was taken during a meeting of the National Security Committee (NSC) chaired by Prime Minister Imran Khan. "It was decided during the meeting to accelerate action against proscribed organisations," the spokesperson had said in a statement. The NCTA has so far declared 69 terrorist organisations as banned and a sizeable number of these organisations are based in Balochistan, Gilgit-Baltistan and the Federally Administered Tribal Areas (FATA). The NCTA has turned a blind eye to major militant groups such as the Hizb-ul-Mujahideen, the Harkat-ul-Mujahideen and the Al Badr operating in Jammu and Kashmir.